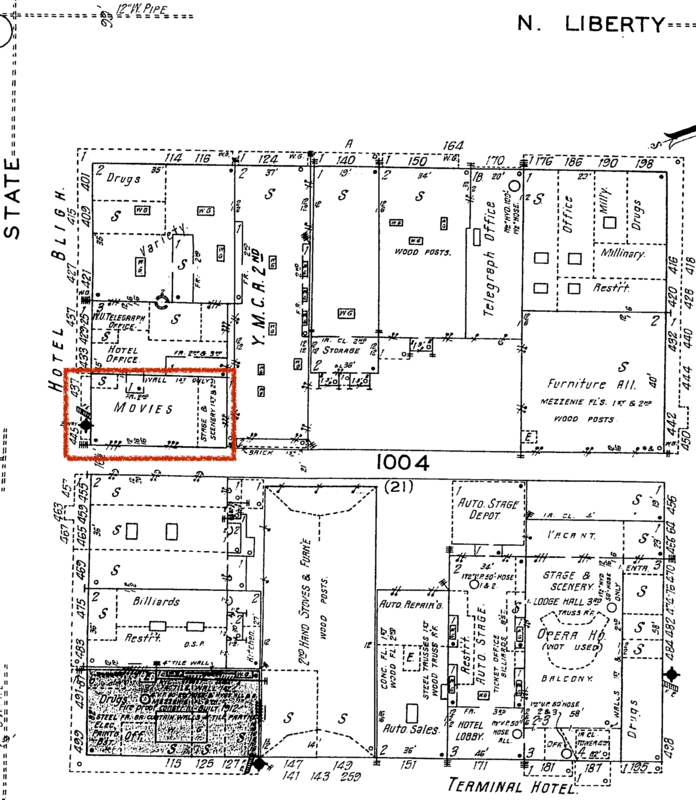 They hosted musical performances as well as frequent vaudeville performances. They often held comedy shows as well as famous orchestras. 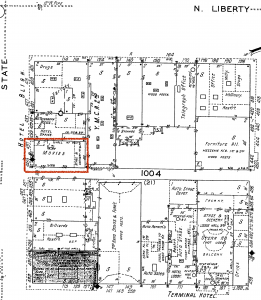 The theater also had 2 glass rooms a smoking and crying room where patrons could smoke and in the other tend to their children. This was also a viewing area for people who preferred to just smoke and watch the entire film. The theater was a vaudeville and silent movie house mainly. These amenities were incorporated with their programming and how they would “sell” the theater to the public. 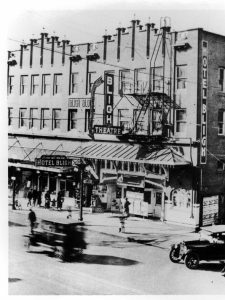 After ownership changed the theater had a make over. 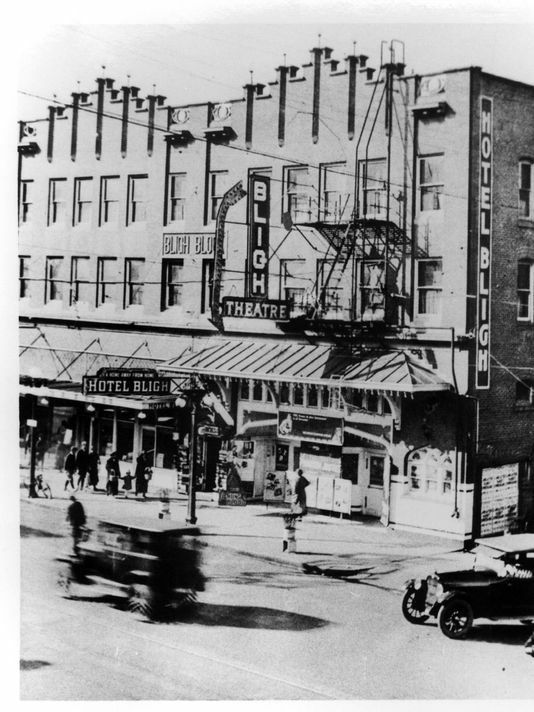 The theater closed for 2 years and reopened in 1926 to the public. The architecture was changed to a terra cotta style which was very attractive for the time. The theater had about 10,000 guests tour the theater after reopening. 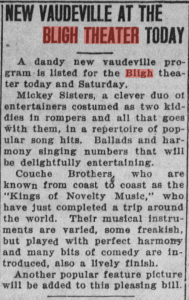 Music was a huge attraction for the Bligh theater and they often brought in people from other parts of the country to perform to provide some variety in their vaudeville programming. They kept people interested by keeping the programming different so the people would have a new experience every time they went. The theater would also do community work such as hosting a benefit for bands as well as other types of talent to help promote not only the theater but also their clients at the same time. 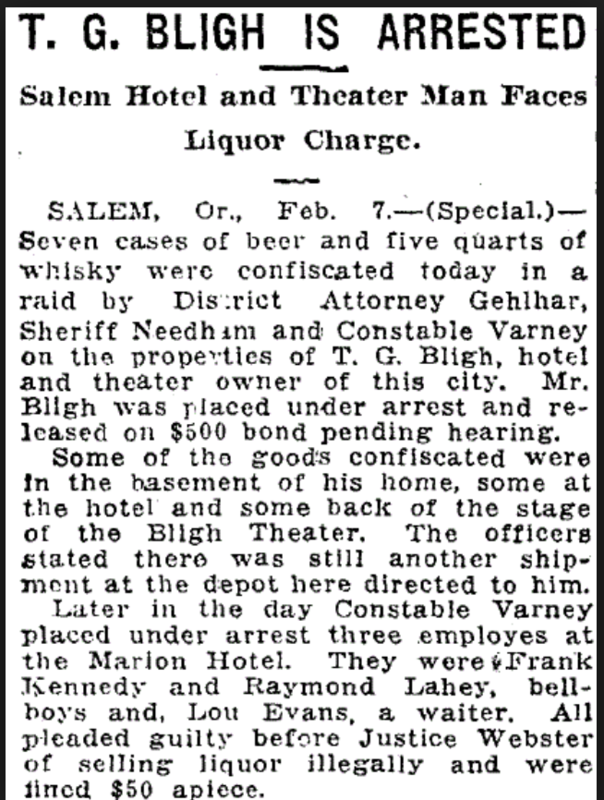 The Bligh was a very popular place for new talent and recognized talent. 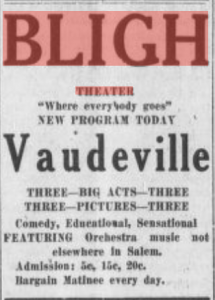 In 1922 Frank Bligh decided that the Bligh Theatre should take place in an exploitation context sponsored by the film periodical Universal Weekly. In the tenth week of the contest the Bligh Theatre was actually named as a weekly winner due to a particularly effective cooperative tie-in between the theater and Salem’s Capital Journal newspaper. 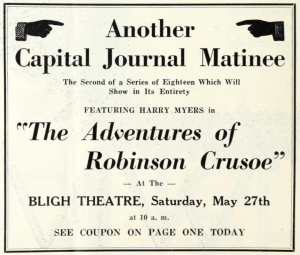 The paper ran a large advertisement for a “Capital Journal Matinee” at the Bligh. In the same paper was printed a cut-out coupon which could be presented at the theater to gain admission for five cents. This was targeted specifically at children, as the serial was considered to have good appeal for youngsters. The clever part about this advertising scheme is that the paper ran both the advertisement and a short two-column reader for three weeks at no cost to Bligh. 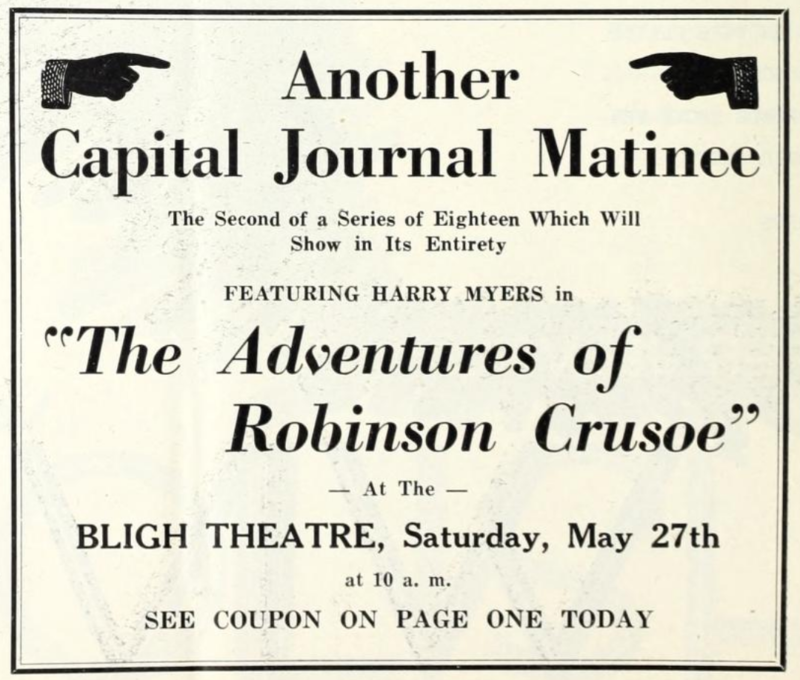 This provided the Bligh Theatre with three weeks of free front-page advertising, increasing their patronage, while the Capital Journal received an increase in readership due to the exclusive coupon deal with the theater.5 This advertising practice is an ideal example of a marketing tie-in between business (and even industries) that turned out to be mutually beneficial for both parties. The way the theater is advertised is as if it is one of the largest and most luxurious theaters in Salem. 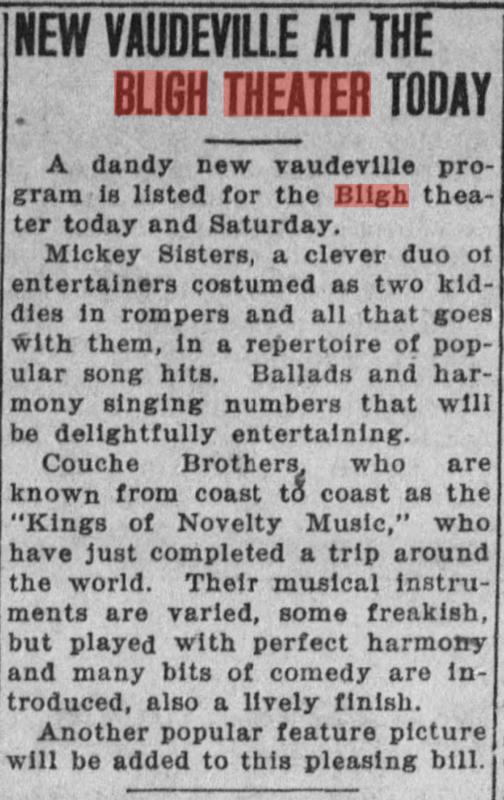 The articles say things like “where everybody goes” giving the idea that the Bligh is the pinnacle of theater experience. -News about the owner T.G. Bligh and the behind the scenes culture of the Bligh Theater. 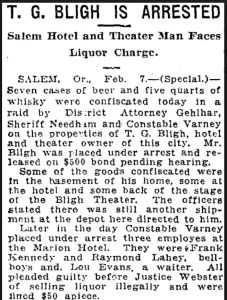 The speak easy was most likely a main attraction and brought mass popularity to the Bligh. The illegal buying and selling of liquor caused a court order to have his home and business raided.